To Root Sony Xperia XA Ultra on Android Nougat is not a difficult task it so simple and you have to run some command and you can get the root access on your Xperia XA Ultra phone. Sony Xperia XA Ultra answer recently got the Nougat update on their device and the old Xperia XA Ultra rooting method will not work with this nougat update. 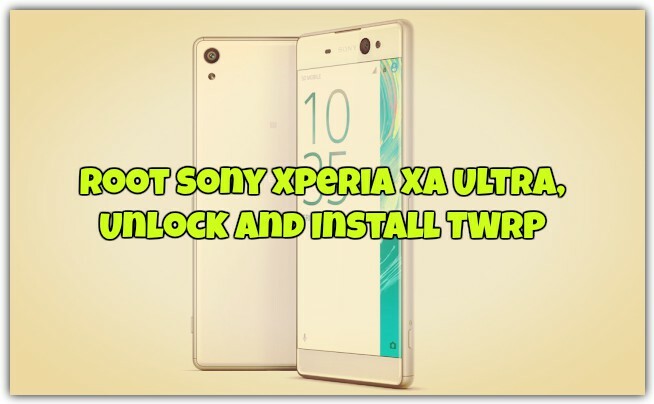 So here we are providing you all detail like how to unlock the bootloader on Sony Xperia XA Ulta, How to Install TWRP recovery and how to Root your Sony Xperia XA Ultra quickly. To root any android phone first you need to unlock the bootloader of the phone and same will apply on this phone. And unlocking bootloader of a Sony phone is not an impossible task. 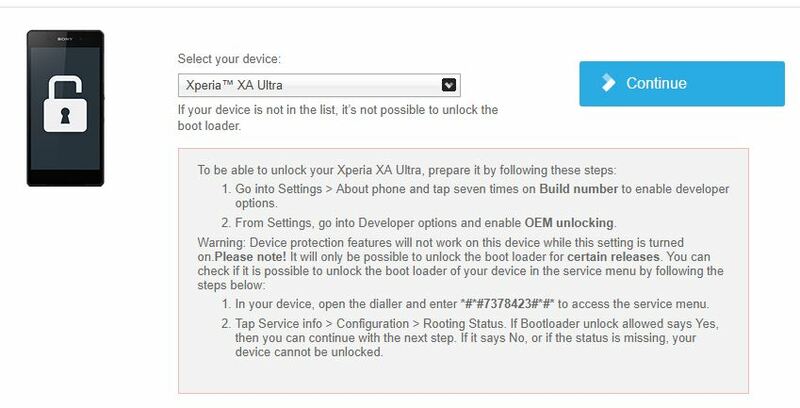 You can unlock Sony Xperia XA Ultra device with the help of Sony Offcicla Website. Yes, all you have to submit the details of your phone and Sony will send you the Unlock code within a minutes. Once the system is unlocked you can install a custom recovery like TWRP or CWM on your phone. Which allows you to flash zip files, rooted files, Install custom ROM, Nandroid Backup and lots more. Which you can’t do in the stock recovery of your phone. If you want to root the phone then flash one zip file on your phone and you are done. Magisk manager and SuperSu Zip is one the best way to Root Sony Xperia XA Ultra. Technobuzz.net is not responsible for any damage that might happen to your phone during this process. You’ll lose all your data upon unlocking bootloader. Your all data will be removed. So take the full backup of your phone. Make sure that your phone has the sufficient battery. Above 60%. This guide is only for the Android Nougat users. If you are marshmallow or any other OS then this will not work for you. To root the device, you will first unlock the bootloader, flash a custom recovery and then flash SuperSU that’ll root the system. Here’s are the steps to how to do that on your phone. Simple task. Justy Visit the developer.sonymobile.com site here and apply for the unlock. The site has full details and steps to unlock the bootloader. Just Select your phone model and follow all the instructions one by one on your phone and you can quickly unlock the bootloader of your phone. Download magisk manager files here to root the Xperia XA Ultra. 1. 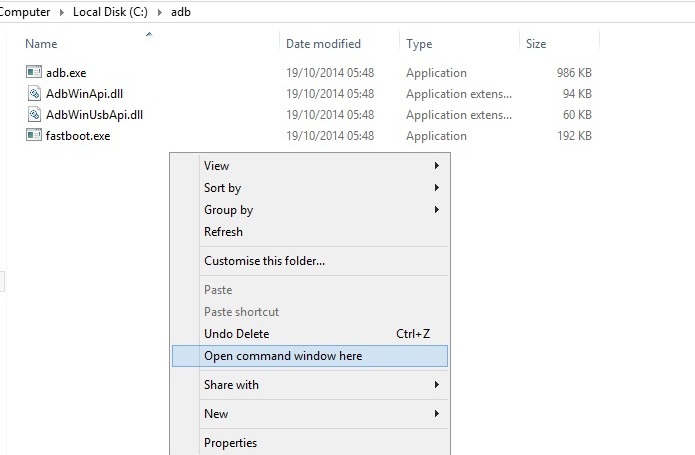 Copy the recovery.img from your desktop and paste to the ADB folder (C:/ADB) located in the C:/ drive of your PC. 2. Now copy the boot.img from your desktop and paste in the ADB folder. 3. Now switch off your phone and boot into fastboot mode. To do this Hold Volume Down and Power buttons together. 4. Now your phone will boot into the fastboot mode. 5. Connect your Xperia phone to the PC with USB cable and open command prompt window in ADB folder. To do this hold down Shift button on your keyboard and right-clicking anywhere on the screen and selecting Open command window here. 7. Now to flash the TWRP recovery run this command. This will flash a custom recovery on your device. Wait for it. 8. Unplug the phone, hold “Volume down” and “Power” buttons. Release all buttons after phone vibrate. 10 . On next screen press “Swipe to allow”. 11. Format “userdata” partition to remove internal encryption for restoring TWRP backups/access of /data partition, go to “wipe” and tap “format data”. If you don’t this your phone will bootloop on Xperia logo. Don’t forget to backup your personal data before !! Now TWRP is flashed on your phone. Now time to Root the device. 1. Install Magisk Manager apk package on your phone. The link is in the above download section. 2. Now save the Magisk zip file on your phone to get the root access. 3. Boot your phone in TWRP recovery mode. To do this, Turn off your phone and Hold Volume Up and Power buttons together. 4. Your device should reboot into the TWRP Recovery mode. 5. From here tap on the install option and locate the Magisk zip file that you saved on your phone, Swipe to install. Your Sony Xperia XA Ultra should now be rooted. Now the custom recovery is installed on your phone and the Xperia XA Ultra is rooted. Now you can install custom ROM on your phone. Check this guide how to install custom ROM on the Android devices.